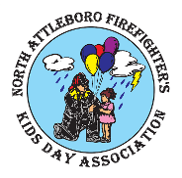 Every year, we look to AREA residents & loyal suppoRters of North Attleboro Kid's Day, to make a donation OF ANY AMOUNT to help support our spectaCular fireworks displays. These displays would not be possible with out your help. OR, DONATIONS CAN BE MADE DIRECTLY ONLINE BY USING THE "DONATE" LINK BELOW.